by Beth Bernhardt — Did you know that back in 2002 at the Charleston Conference, Beth talked about UNC Greensboro being one of the first schools to set up pay-per-view to provide access to articles from unsubscribed journals? by Patrick L. Carr — Budget cuts are forcing librarians to make painful decisions, and, in this context, it seems sensible to explore all avenues for reducing e-resource costs without reducing access – including those that are at odds with the perpetual access ideal. by Ryan Weir and Ashley Ireland — In 2005, following years of passive-reallocation of one-time purchase funds to serial holdings funds, Murray State University Libraries was forced to dramatically cut its journal holdings. by Mindy King and Aaron Nichols — There are an alarming number of journal titles that are rarely used and cost a fortune. This is where pay-per-use comes in handy. by Douglas LaFrenier — AIP, as it happens, was one of the first two publishers to enable anyone with a credit card to buy any article online, back in April 1998. IMHBCO (In My Humble But Correct Opinion) – Academic Libraries and the “Arming America” Problem: A Response to Steve McKinzie by Rick Anderson — This article is followed up with A Reponse from Steve McKinzie as well. I Am An Inculte! by Tony Ferguson — In this issue Tony talks about his experience at the Frankfurt Book Fair back in October. Reviews of Reference Titles by Tom Gilson — This month two of Tom’s reviews include the Encyclopedia of Human Relationships and the Encyclopedia of Medical Decision Making. Monographic Musings by Deb Vaughn — To shelve or not to shelve? This month, read about management issues regarding library shelvers. Legal Implications of Reference Books for Publishers and Consumers by Bryan M. Carson — The existence of errors in reference books brings up a number of legal issues. Copyright Column by Laura Gasaway — What criteria are used to determine whether an organization is a nonprofit educational institution as part of the fair use exception? Lolly tells us! Things to Consider When Planning Section Programming by Sylvia McAphee — It is more than likely that an acquisitions librarian will have the opportunity to plan a program for a section of a national library association during the course of his/her career, but few have experience or background in doing this. Google 2.0: Still a Mixed Blessing? by Sanford G. Thatcher — Sandy provides us with more details on the Google Settlement. A Case of Discredited Research by Jack Montgomery — More opinions from librarians about the Arming America problem. Underfunded Archives and Frayed External Relations: May be the Signs of a Rare and Serious Budgetary Side Effect. by Steve McKinzie — Are there things you shouldn’t do in a budget crisis? Reports of Meetings — In this issue you will find the final installment of reports from the 2008 Charleston Conference by Ramune Kubilius and her crack team of reporters. Watch for 2009 Charleston Conference reports to begin in our next issue. Viel Danke by Xan Arch — This one’s about Xan’s internship at Harrassowitz and Casalini this past summer. Power Weeding! by Tinker Massey — What is power weeding at its finest? Mary keeps us thinking about more creative solutions. Blackwell’s by Bob Nardini — Bob talks about the Blackwell’s business which goes back to 1879. Impact Factors and Usage Factors: Testing Alternative Metrics by John Cox — In 2007 the UKSG funded a project to assess the feasibility of developing a Journal Usage Factor (JUF): a simple metric that itself would be a ratio of usage measured against the number of articles published in a given period. Valuing Anxiety by Jesse Holden — With many libraries facing severe budget reductions, calculating value is perhaps an even more essential function than ever before. by Peter T. Shepherd — The original PIRUS project, funded by JISC, and completed in January 2009 (3) demonstrated that it is technically feasible to create, record and consolidate usage statistics for individual articles using data from repositories and publishers, despite the diversity of organizational and technical environments in which they operate. A Postcard from Charleston by Greg Tananbaum — Greg talks about his live version of this column at the 2009 Charleston Conference. DeepDyving into Journal Article Rental by Cris Ferguson — DeepDyve is really two tools in one, both an A&I database, indexing content from a wide variety of publishers, and a journal article rental service, enabling users to obtain access to the articles found via the index. What fools these mortals be! by Michael P. Pelikan — Authorship is Dead, Publishing is Dead, Reading is Dead! Baloney! says Michael. 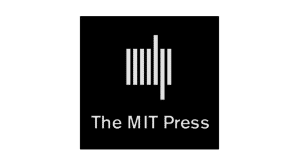 Journal Article Supplementary Materials: A Pandora’s Box of Issues Needing Best Practices by Todd Carpenter — Publication oddities have always presented problems for traditional publishing structures. They are now appearing with increasing frequency and can no longer be managed on a case-by-case basis. Want dates? We have them. Future Conference dates through 2015 can be found here! v.21 #6 Backtalk - I am an Inculte!